Daniel Crouch Rare Books, Apianus, Petrus Astronomicum Caesareum. Ingolstadt, Peter Apian, 1540. Some of the earliest evidence of man on earth demonstrates our perpetual quest to understand exactly where we are at a given time and place. Mapmaking, has been an integral part of the human history for thousands of years from cave paintings to ancient maps of Babylon, Greece, and Asia, through the Age of Exploration, and on into the 21st century. People have created and used maps as essential tools to help them define, explain, and navigate their way through the world. The earliest known maps are of the heavens, not the earth. Dots dating to 16,500 BC found on the walls of the Lascaux caves map out part of the night sky, including the three bright stars Vega, Deneb, and Altair as well as the Pleiades star cluster. By making simple observations of the stars as well as changes in the seasons and rising and setting of the sun, prehistoric man came up with primitive methods to measure time. Tools included sticks, poles and pyramids as well as other tall structures that were the forerunners of one of the earliest “calculating machines” - the Sundial. The relationship between measuring time and mapping space strikes me as symbiotic and so I wanted see what would happen if we brought together two of our clients: map dealer, Daniel Crouch Rare Books and iconic watch makers Jaeger-LeCoultre to showcase this idea. This year Jaeger-LeCoultre launched their Astral collection that draws inspiration from the passage of the sun, moon and stars. The range utilises the lunar and sidereral zodiac calendars in stunning precision complications to great effect as well as using materials of the stars from facets of meteorite to lapis lazuli. An exceptional watch is the Master Grande Tradition Grande Complication with a tourbillon that indicates the passing of sidereal time (calculated from the motion of the earth or a planet relative to the distant stars rather than with respect to the sun) used by astronomers to follow the trajectory of the stars. 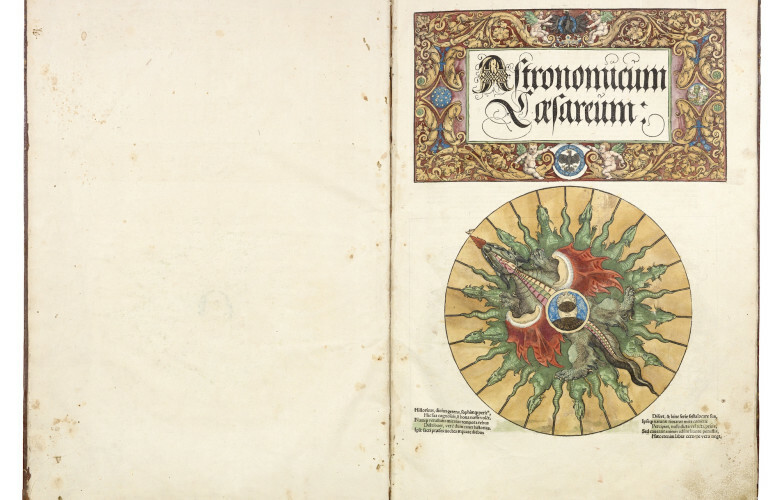 We showed the timepieces alongside early celestial charts, maps, astronomy instruments, astrolabes with which man first harnessed these phenomena to assist his explorations of the earth and establish a sense of time and place. It was a fascinating evening fostering lots of debate and created a tangible picture of how such a vast topic can be realised through complex materials in a microscopic level on your wrist. Or at least it helped a distinctly non-scientific brain like mine have a clearer understanding of the mechanics, passion and thousands of hours spent in pursuit of the ultimate precision. Daniel Crouch summed it up rather well when he said ‘”To answer the fundamental, and surprisingly complicated, question ‘Where am I?’ requires an understanding of both space and time, and their relationship to each other. The fine watches in the Astral Range of Jaeger-LeCoultre, and the rare maps and scientific instruments we sell stand testament to humankind’s ingenious and beautiful attempts to find an answer”.